It’s a common problem for many of us that we’d like to really crack down on what we eat to achieve that perfectly balanced diet we know our body deserves, and yet, amidst all the business of our day-to-day lives, it just doesn’t seem to happen. We slip back into old habits simply because they’re more convenient for us when we ought to be keeping in mind that it really won’t be more convenient for us in the long-run, especially for our bodies. But it isn’t and shouldn’t be a grand ordeal or a massive chore to introduce a bit more balance into our diet – it can actually be a fun experience as well as a rewarding one. So here are a few simple tips to start you on your way to eating healthier and feeling better about yourself. A great deal of the effort of striving to eat healthy is in keeping track of what you’re eating – the various values of things like carbohydrates and proteins which need to be kept in balance and check. The front of the package is specifically designed to try to get you to buy it by catching your eye. Maybe a certain foodstuff professes to be very tasty as well as being excellent for you, but the truth might turn out to be something else entirely. Make sure that, when you’re shopping, you check the back labels of everything you’re buying as well, so that you know for sure what it is you’re getting in the foods you buy, so you can better keep track of what’s going into your body. 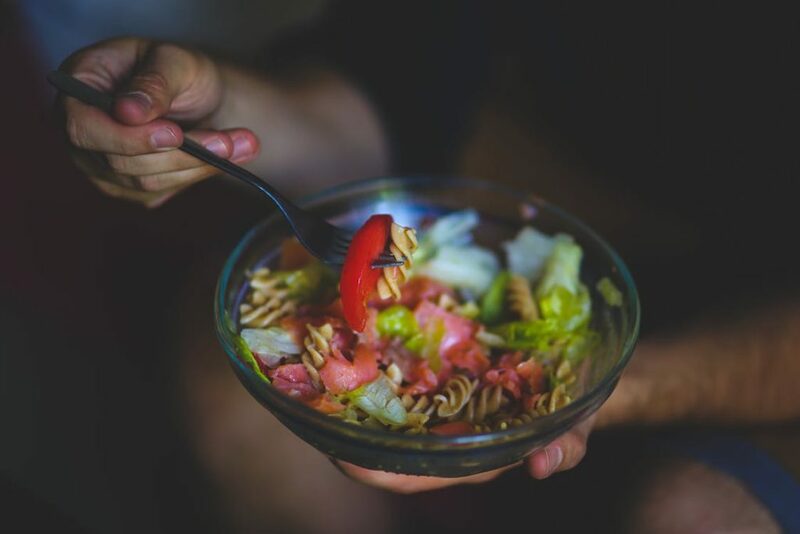 Healthy eating doesn’t have to be a boring affair – there are a huge number of delicious dishes from the likes of the Mediterranean, which features fish and vegetables prominently, and even Mexico, if that’s the kind of thing you enjoy. All you have to do is take a little time to source out interesting, healthy recipes, as well as the time to make them. Many, such as this one from Low Carb So Simple, only take a couple of minutes to fully prepare, so there really isn’t any excuse not to get into the kitchen, even if you’re one of those people who has a packed schedule. Water is absolutely vital to ensuring that your body runs as properly and smoothly as it needs to, while also helping to reduce the risks of snacking and overeating. If you drink a cool glass of water before or during every meal, you’ll be seeing yourself in really good stead to achieving a more well-hydrated daily life. Although water is far from the most exciting of beverages, you could try adding a little flavoring to it every now and again to make it a little more interesting, or simply have a convenient water bottle sitting about that you can take sips from throughout the day.